How do I create a position? To add a new position, go to Dashboard > Positions, then click Add position. 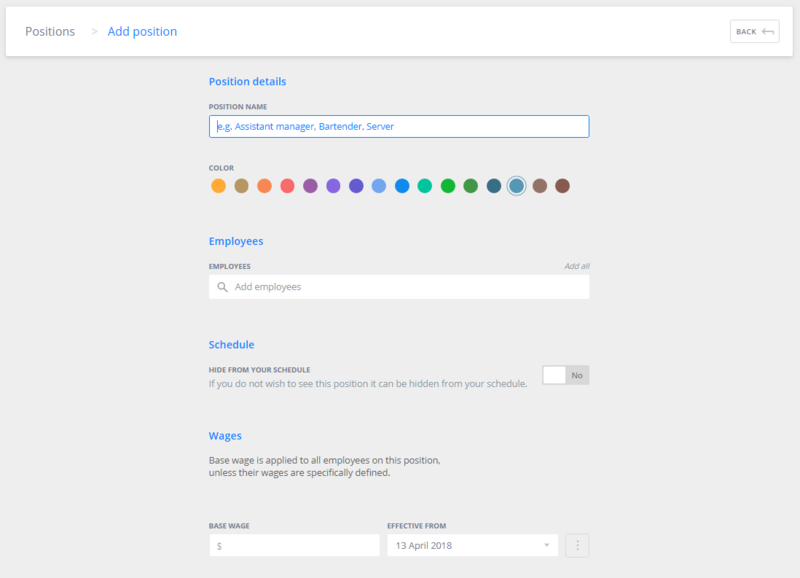 A form will appear where you can add the position name, assign employees, and choose a color for its shifts. You can also choose to hide the position from view and assign the base wage rate (wages only available with Premium). Click Save and you will be able to schedule shifts for your new position!